HAPPPY FRIDAY! Hope you all had a good week. I'm sorry there wasn't a post yesterday but I have been so unorganised lately. 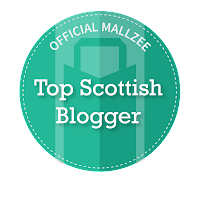 I really admire bloggers who are organised and schedule things in advance. 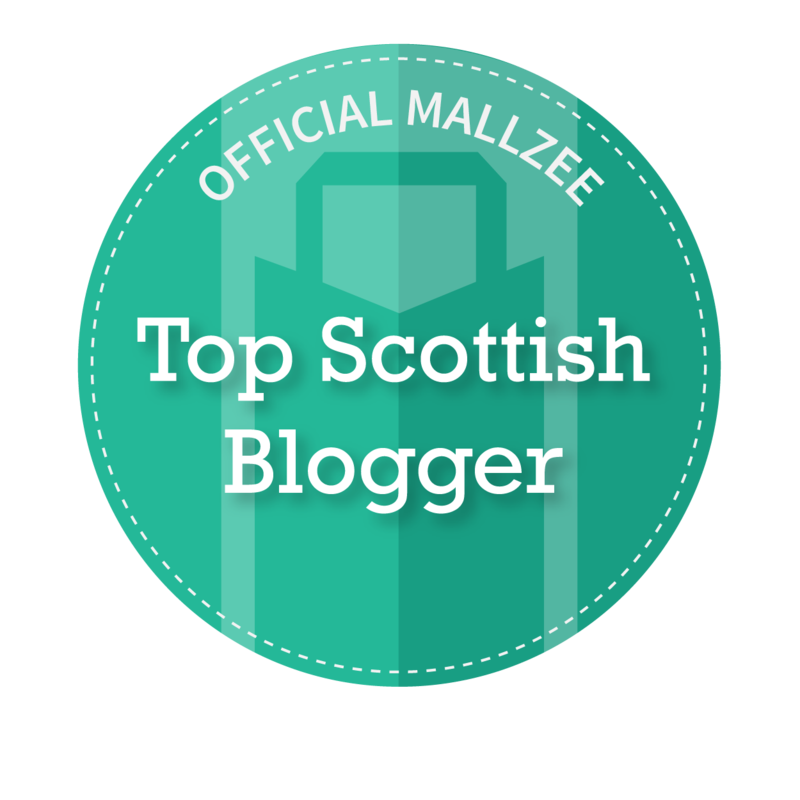 When I do a blog post, everything is there and then, need to sort my act out. 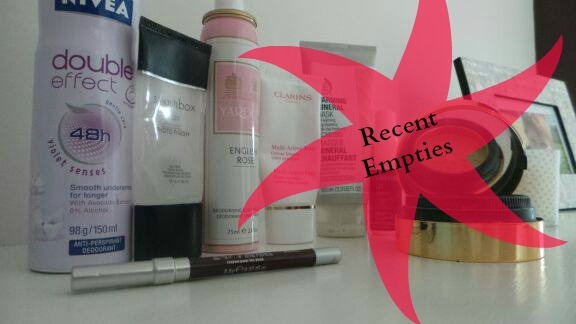 Ok, so I don't ramble on for too long, today is a 'Recent Empties' post and I rarely do these - in fact i'm not convinced I ever have? This is due to the fact that I take so long to finish something or I put them in the empties box and forget about them. I try to put all my empties in a box and when it gets reasonably full I can then do more of a substantial post. 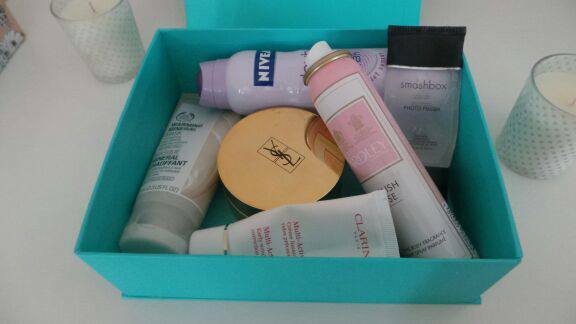 These ex beauty boxes are ideal - do you do the same? This one is scented 'Violet Senses' and is my favourite of the range, has a sweet musk smell about it. I particularly like the Nivea range, I have been using this brand for years and it keeps me fresh all day - no sweaty betty here. 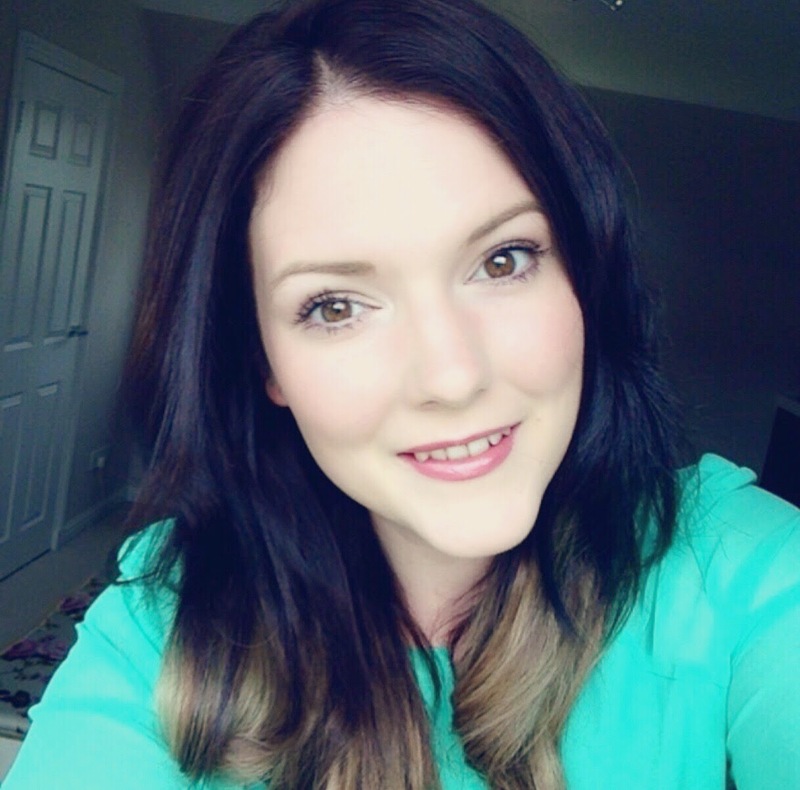 Some people don't like primers, however I do - I think they provide a really excellent base for your foundation. I am really fond of this Smashbox Primer and I probably will repurchase it at some point, but at the moment I am totally smitten with my Clarins Beauty Flash Balm. I was given this as a sample to try a while ago when visiting the new Urban Decay counter in my local Debenhams. It is really good for making your make up last all day - it literally sticks to your face. I used this up fairly quickly and I think I will buy the full size of this - unless you have any other recommendations for me? This moisturiser is amazing and I have repurchased already. This is actually the travel size I haveb featured - the full size comes in a tub. Love it. 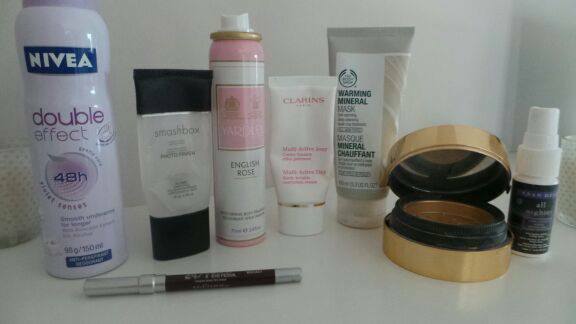 You cannot go wrong with Clarins for skincare it is the best. I am no good describing scents, in fact I am pretty terrible at it so I will just say - it smells gorgeous. I originally got one of these in a beauty box and have since repurchased it twice, will continue to do so. I bought a replacement on Fragrance Direct which was mega cheap and then I noticed Boots stocked it too so bought some more. Is your skin feeling tired? Are you feeling run down, stressed? This mask makes you instantly feel a whole lot better. As you massage the clay into your skin it heats up. My skin benefits from this each time I use it (usually once a week) and the following morning my foundation sits really well. I also use an exfoliating glove to gently remove dry skin cells, around once a week, as this really does make a difference to the appearance of your skin. I really loved this product, teamed with my Touch Eclat foundation I felt they worked well with each other, however, it is really expensive and I won't be repurchasing - my Rimmel powder does the same job for like 4 quid. This has been my most used eye pencil and the first i've ever worn right down - it does what it says, literally glides on. I will be repurchasing this. What are your most recent empties? I haven't got much time to link all these items but if you do want to know where to get them at good prices etc, just leave a comment and i'll find them for you. You always get things cheaper if you hunt about. i think i need to try the urban decay spray. especially now that summer is here! I love UD setting sprays! Ooh the warming mineral mask sounds great, I will check that out! I like the MUA fixing spray - I've never used another brand for this so I can't say how it compares but it does more than nothing. It may not compare at all but it's only £5 so might be worth a try? I've been looking for a pencil eyeliner for quite a long time. I might give that one a try. Do you have to sharpen it? I love the deodorant of Nivea. I really want to try the Urban Decay setting spray, blimey I have such a wish-list going on at the moment! Haha I know I don't post half as often as you do but I am exactly the same, I write whichever post I feel like writing that day, if I even have the time! Also I'm a big Nivea deodorant fan too :) smells so pretty but not too much! I love empties posts! I love the sound of the UD Glide on Pencils, a purchase I've always wanted to make!